THE REGENCY PLUME Newsletter is your link to learning more about England's delightful Regency period, when a gentleman was a gentleman all the way down to his polished Hessians...and young ladies still blushed, especially if caught staring overlong at milord's buckram-padded shoulders, or Oh my! his thigh-covered inexpressibles! A Regency romance is romance at its most elegant--entertainment of the first order. Whether sweet or sensual, a romp or a mystery, a Regency romance novel transports readers to a colorful time that exists no more, but which takes place in a fascinating world that still exists today--England! Most Regency romance authors have spent years researching this long-ago, though hardly forgotten, time period known as the English Regency. And we take great delight in creating fresh new characters--our heroes and heroines--whose lives freely intermingle with those of 'real-life' people like Beau Brummell, Lord Nelson, the Duke of Wellington, or even the Prince Regent. I became so engrossed in my study of the English Regency period, that in 1991, I began to publish a newsletter for other writers and Regency romance fans called THE REGENCY PLUME. During its 16 years of publication, THE REGENCY PLUME boasted over 1000 subscribers from all over the world. THE REGENCY PLUME ceased publication in 2006, but all back issues and all Regency research material are still available for purchase. Please visit every page on this website for ordering information! The sole aim of THE REGENCY PLUME is to enrich the reader's knowledge of the Regency period and to aid authors who are setting books within that time frame in their quest for historical accuracy. If you are a published author, aspiring writer or Regency romance fan who yearns to know more about what life was like in England or Ireland, in London, Bath, or Brighton in the early 1800s, you'll want to join the hundreds of other Regency devotees who experience 19th Century England via THE REGENCY PLUME Newsletter. All articles published in THE REGENCY PLUME are well-researched and documented with the author's sources. The factual and entertaining articles are written by such favorite Regency romance authors as Mary Jo Putney, Jo Beverley, Emily Hendrickson, Shannon Donnelly, Gail Eastwood, Jo Ann Ferguson, Elizabeth Boyle, Margaret Evans Porter, June Calvin, Anne Barbour, Barbara Miller, Sheri Cobb South, Shirley Kennedy, Lynn Collum, Jeanne Savery, Alissa Baxter, Victoria Hinshaw, Jo Manning, Cheryl Bolen, Marilyn Clay, and many others. Articles cover such interesting topics as the Season and court presentation, Almacks, London town homes, correct title usage, Regency period books and magazines, clothing, dances, the hunt, theatre and the opera, cosmetics and remedies, daily life, the Napoleonic war, travel during the Regency, carriages, horse racing, and much, much more. Many articles feature rare period illustrations. 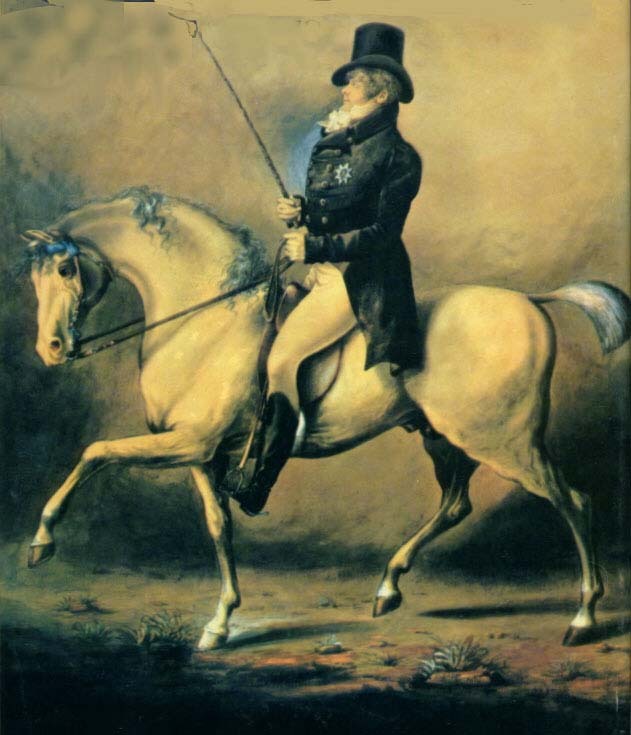 In addition, you'll find bios of all your favorite Regency personalities, such as the Prince Regent, Lord Byron, Beau Brummell, the Duke of Wellington, the famous Duke of Devonshire--the most sought-after bachelor in the realm, the Almack Patronesses, Lord Nelson and Emma, and many others. Each issue of THE REGENCY PLUME also lists every new Regency romance novel published in that two-month period, with previews of many. To view a complete index to all articles published during the past 16 years in THE REGENCY PLUME Newsletter, click on the Back Issue Article Index headings on the left. All back issues of the newsletter are available for purchase. Additional research material on the English Regency period, such as books on Regency-period furniture, reproduction historical maps, historical folios, and books on how you can write and sell your own Regency romance novel are also available through THE REGENCY PLUME. For more information on these products and how to order them, click on the Regency Research Material heading on the purple bar at the left side of your screen. "I keep every issue of THE REGENCY PLUME. I refer to it constantly as I'm writing!" -- Donna Davidson. Be sure and visit all the pages on THE REGENCY PLUME web-site! Thank you! Although 2006 is the final year of publication for THE REGENCY PLUME Newsletter, ALL BACK ISSUES (AND ALL RESEARCH MATERIAL) OF THE REGENCY PLUME NEWSLETTER ARE STILL AVAILABLE FOR PURCHASE. However, if you live outside the US, please e-mail me for exact shipping costs to your country. Thank You! Remember, ALL back issues and ALL Research material and Maps listed on this website will continue to be available indefinitely at the prices (plus postage) given on each page of this website. When ordering back issues of THE REGENCY PLUME Newsletter, please list the back issues you are ordering by months and date; for example: Jan/Feb 2002, Nov/Dec 2000, Sept/Oct 1999, etc. All back issues are $4.00 each, plus postage. Refer to postage rates at the top of this page. If your order is to be shipped to a foreign country, please e-mail PLUME publisher Marilyn Clay for exact shipping costs. BE AWARE THAT IF POSTAGE INCREASES IN THE US AFTER 2010, THAT THE ABOVE POSTAGE RATES MAY ALSO INCREASE. All payment for anything ordered from The Regency Plume website must be in the form of a check drawn on a US bank, or in US funds via PayPal, or an International Money Order, or Money Gram (in the US Money Grams are available from Wal-Mart, and there are also international Money Gram offices). E-mail me for further details about payment and FOR THE CURRENT MAILING ADDRESS! Thank you...and thank you for visiting THE REGENCY PLUME website! Be sure to check out every page!